On this Second Anniversary edition of Living in Spanglish we interview Lara Bello, a singer from Granada, Andalucía, living in New York about her new album Sikame. 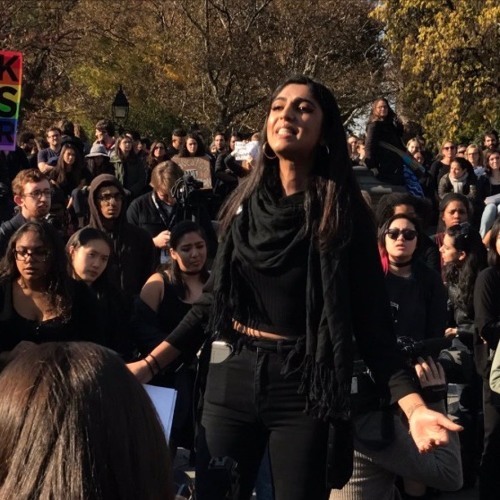 We also feature interviews with activists from the NYU Sanctuary collective talking about the need to formally recognize their campus as a sanctuary campus. Plus new music from Chicano Batman, Residente, Ifé, salsa, soul, and Thundercat.